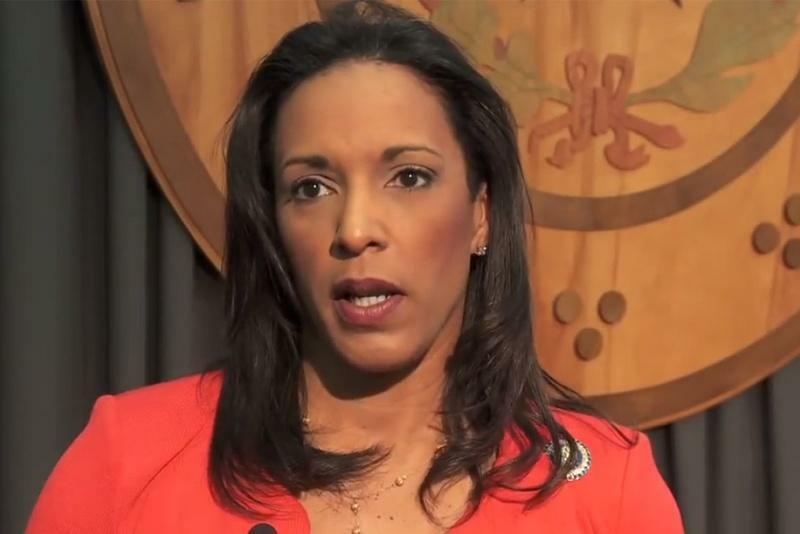 State Rep. Dawnna Dukes, D-Austin, appears in the Travis County Courthouse on Friday. At right is attorney Matt Shrum. 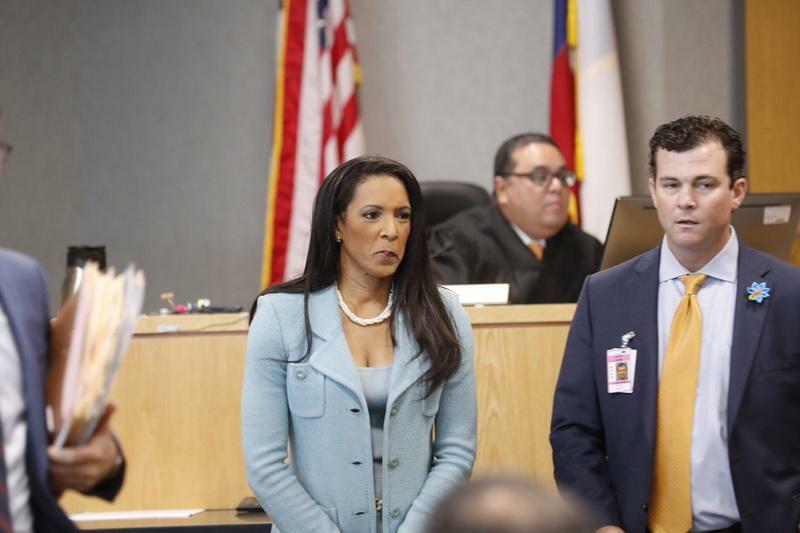 State Rep. Dawnna Dukes, D-Austin, entered not guilty pleas to abuse-of-office charges Friday in Travis County district court. The 12-term lawmaker pleaded not guilty to tampering with a governmental record and abuse of official capacity by a public servant. Judge Brad Urrutia on Friday set a trial date of Oct. 16. In addition, she was indicted on two charges of abuse of official capacity by a public servant, a misdemeanor punishable by up to a year in jail and a fine of up to $4,000. Those charges allege that Dukes used her legislative staff to work on the African-American Community Heritage Festival and be a live-in nanny for her daughter. Dukes surprised legislators and her constituents in January when she decided not to resign from the post she has held since 1995. Not resigning allowed Dukes to add $3,220 per year to her state pension. Dukes has faced criticism for missing votes and being absent from the House floor. She was not in attendance when the House voted on the final budget. When asked if she was going to run for re-election, Dukes said: "That is a very strong possibility." Dukes arrived more than two hours late for her 9 a.m. hearing. She said she didn’t find out until Thursday night that she needed to show up to court, her father had recently had surgery and her daughter’s babysitter — scheduled to arrive at 7 a.m. — failed to show up. 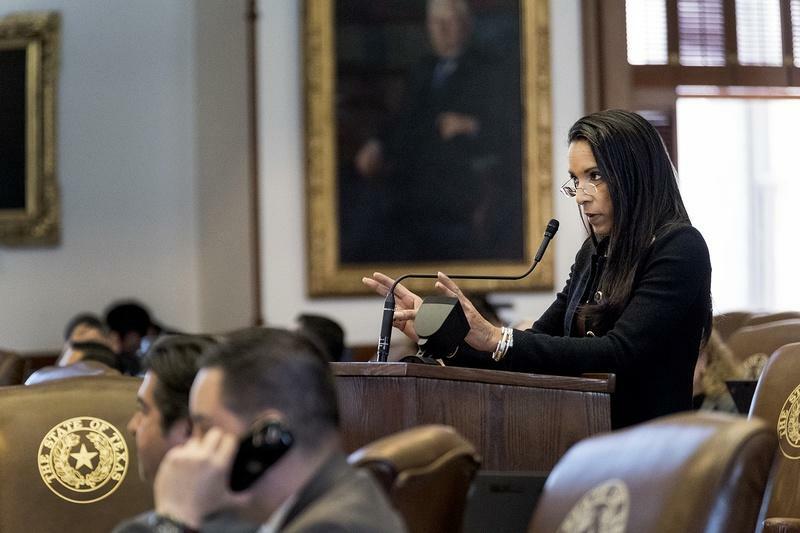 Democratic House Rep. Dawnna Dukes of Austin was already in hot water at the start of the legislative session. She had walked back a promise to resign and, soon after, was indicted. But members of the Travis County Democratic Party say she then failed to do a major part of her job: show up.